Ocheyedan, Iowa — A barn was destroyed by fire on a place northwest of Ocheyedan on Saturday afternoon. According to Ocheyedan Fire Chief Dan Hartwig, the Ocheyedan Fire Department was paged about 4 PM Saturday afternoon to a barn fire about 4 miles west of Ocheyedan on Highway 9, and 2 miles north. The chief says Bill Pranger owns the place and one of his sons lives there. Hartwig says when the fire department got there, the barn had pretty much burned down already. He said the heat had also melted some siding on the house but other than that, the house was not damaged. The chief says the 40 by 60-foot barn was a total loss. In fact it was so far gone by the time they were called that they didn’t even take their hoses off the truck. Chief Hartwig says the cause of the fire is thought to be related to a heat lamp. There were no injuries reported to people, pets, or livestock. The chief says fire crews were on scene for about a half hour. Cecil Huss age 93 of Sheldon, IA, formerly of Ashton, IA died Saturday, February 23, 2013 at Sanford Hospital in Sheldon, IA. Funeral service will be 10:30 AM, Thursday, February 28th at St. Mary’s Catholic Church in Ashton, IA, with Father John Vakulskas as Celebrant. Burial will follow in the St. Mary’s Catholic Cemetery in Ashton. Visitation will be Wednesday, February 27th from 2:00 to 8:00 PM, with family present from 6:00 to 8:00 PM at St. Mary’s Catholic Church in Ashton. Also there will be a 4:00 PM Rosary and 7:00 PM Vigil services at the church Wednesday evening. Jurrens Funeral Home of Ashton is in charge of arrangements. Walleye season is closed until May 4. Northern Pike – Slow: A few have reported seeing pike while sight fishing for bluegills. Try putting tip-ups in shallower areas and around weeds. Bluegill – Slow: A few bluegills are being caught in Anglers Bay using small jigs tipped with live bait or plastic. Yellow Perch – Slow: Perch continue to be finicky but a few are being caught once located. Try spoons and small jigs with wigglers. Walleye season is closed until May 4. Yellow Bass – Fair: Finding a school of yellow bass may be challenging but once located, they can be fairly active. Try jigs tipped with live bait or plastic. Walleye season is closed until May 4. Northern Pike – Slow: Try putting tip-ups around weeds. Bluegill – Slow: Emerson and Miller bays continue to be the most popular areas to fish for bluegills with Smiths Bay gaining some attention. Sight fishing with small jigs and light line can be a good way to catch a few fish. Yellow Perch – Slow: A few perch are still being caught deep as well as in the weeds while fishing for bluegills. For more information contact the Spirit Lake Hatchery at 712-336-1840. Dakota State University Football senior Craig Hertz a Sibley Ocheyedan graduate recently participated in the 2013 USA Freedom Bowl All-Star game January 21st in Virginia Beach Virginia. The All-Star game held at the Virginia Beach SportsPlex featured athletes from Football Championship Series, NCAA Division two, three and NAIA levels. Athletes were divided into two teams called the Admirals and Generals. Ironically the former Sibley Ocheyedan General played on the Admirals team. He received defensive MVP honors for his squad recording 12 tackles, deflected 1 pass and forced 2 fumbles. Hertz was selected as DSU’s defensive most valuable player. He was named to the Association of Independent Institutions first-team All-Conference. He recorded 117 tackles in 2012. That’s the third most tackles in a single season in Trojan Football record book. During his career at DSU, he amassed a total of 302 tackles, 120 unassisted with 182 assists. Hertz will be joining the DSU Football coaching staff to assist the outside linebackers next season. He is the seventh former athlete to assist the football coaching staff under head coach Josh Anderson. Craig is the son of Kevin and Marcie Hertz of Ocheyedan, Iowa. He is majoring in Physical Education at Dakota State. Sibley, Iowa — A Sibley-Ocheyedan High School junior has been honored with an All-State Banner for her Solo Mime performance at the All-State Speech Festival, held Saturday on the campus of Iowa State University in Ames. 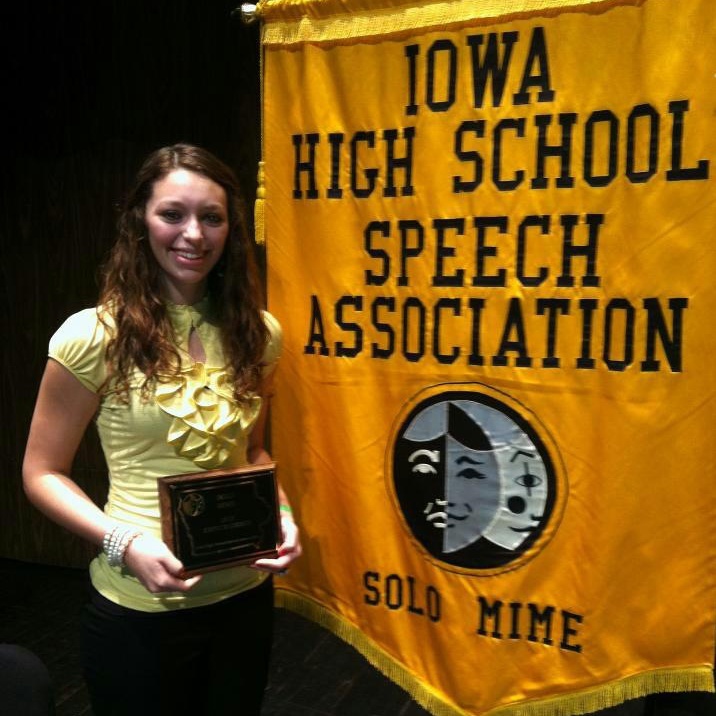 17-year old Alecia Martinez was one of 25 students from across the state of Iowa who competed in the Solo Mime event. And, unlike athletic competition, speech students are not separated by school size, with all students competing in one group. Martinez was nominated for All-State by the judges who rated her performance at State Contest earlier this school year. Her performance was entitled “Sunny Side Up”, and dealt with the topic of domestic violence. Martinez was, reportedly, one of only a few of the students who chose a serious topic for their performance. This school year marks Alecia’s first attempt at Solo Mime. In addition to a plaque, Martinez was awarded custody of an All State Banner, which will hang in the Sibley-Ocheyedan High School for one year, before she returns in to All-State next year. This is the first time an All-State Banner has been awarded to Sibley-Ocheyedan since 1981. Alecia is the daughter of Frank and Darcy Martinez of Sibley. Sibley, Iowa — A Sibley woman has been arrested on an assault charge. The Osceola County Sheriff’s Office reports that on Sunday, (2/17), one of their officers arrested 21-year-old Jennifer Lynn Roder of Sibley. The Sheriff’s Office says she allegedly assaulted her boyfriend at the Super 8 Motel. She was charged with Domestic Assault, a Simple Misdemeanor; and was booked into the Osceola County Jail. Her bond was set at $300. The arrest stemmed from a 911 call that came from the Super 8 Motel in Sibley. Ashton, Iowa — An Ashton man has been arrested on two warrants — one of them a felony warrant. The Lyon County Sheriff’s Office reports that an assault investigation led to a search warrant being executed by their deputies at a rural Ashton home on Thursday (2/14). They report that 41-year-old Daryl Gene VanOort was arrested at that home on two Lyon County warrants. He was charged with one count of assault, a serious misdemeanor and one count of possessing a firearm when prohibited, a class D felony. Sibley, Iowa — Wednesday evening, February 20, 2013, the Community Foundation of Osceola County will distribute $ 82,781.67 to twenty-seven nonprofit groups representing five different areas of Osceola County. The purpose of these grants is to assist local groups to promote and support human services, the arts and culture, health and recreation, economic well being, youth development and the educational needs of Osceola County residents. Grants ranging from $1066.67 to $3,500 will be announced and distributed at a special ceremony to be held at 5:30 p.m., February 20, 2013 at the Sibley Senior Center. (612 8th Street–Sibley, Iowa) The public is invited and encouraged to attend. The Community Foundation of Osceola County (CFOC) was established in the fall of 2005 as a way to encourage charitable giving that would benefit the entire Osceola County area. Grant monies were made possible by the Iowa General Assembly with the passage of H.F. 2032 which provided that non-gambling counties be eligible to receive one half of one percent of the state’s gross gambling receipts. This year, Osceola County’s share of these funds totaled just over $86,000. Under the terms of the legislation, 75 percent of these funds are to be awarded through grants to charitable organizations for educational, civic and public purposes. The remaining 25 percent must be placed into a permanent county endowment fund to be invested, with the earnings distributed over time. The CFOC is organized by representatives from throughout Osceola County. Early this past fall, they began work on the grant awarding process. The main focus of the foundation is to assist nonprofit organizations to fill in the gaps where funding may be lacking. This partnership with communities and nonprofit organizations help make programs and projects possible that might otherwise go unfunded. Osceola County continues to be among the first of the Community Foundations across Iowa to award grants for worthy projects. Following Thursday evening’s presentation, over $500,000 will have been distributed improving the quality of life in our community over the past eight years. One of the goals of the Iowa General Assembly in establishing these funds is to foster private giving, strengthen service providers and improve conditions in local communities. To these ends, they provided the seed money for the community foundations with hopes this would encourage others to contribute to their local foundations. Anyone interested in contributing to a permanent source of charitable funds for Osceola County community improvement projects is encouraged to contact any member of the CFOC or Kirk Grau of the Osceola County Economic Development Corporation at 712-754-2523. Gordon Wasmund, age 72, of Sibley, Iowa, passed away on Thursday, February 14, 2013, at his home in Sibley. Memorial Services will be Monday, February 18, at 10:30 A.M. at the Andringa Funeral Home in Sibley. Rev. Shannon Pascual officiating. Burial in the Holman Township Cemetery of Sibley. Friends may visit with the family before the Memorial Service on Monday at the Andringa Funeral Home. The Andringa Funeral Home of Sibley in charge of arrangements for Gordon Wasmund. 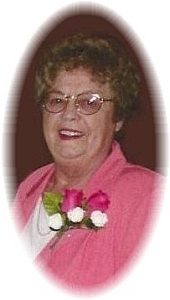 Betty Marco, age 76, of Ocheyedan, Iowa, passed away on Wednesday, February 13, 2013 at Sanford Hospice in Worthington, Minnesota. Mass of Christian Burial will be Saturday, February 16, 2013 at 10:30 A.M. at St. Andrew’s Catholic Church in Sibley. Father John Vakulskas officiating. Burial in St. Andrew’s Catholic Cemetery in Sibley. Visitation will be Friday, February 15, from 2:00 to 8:00 P.M. Catholic Daughters of America Rosary will be at 5:00 P.M. with Scriptural Wake Service at 7:00 P.M. Family will be present from 6:00 to 8:00 P.M. at the Andringa Funeral Home in Sibley. The Andringa Funeral Home of Sibley and in charge of arrangements for Betty Marco.